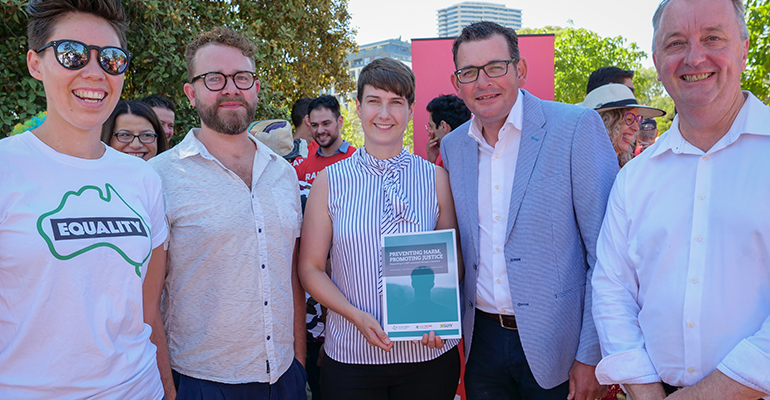 The LGBTQI+ sector is celebrating Victoria’s announcement to outlaw gay conversion therapy, and says it will keep a close eye on the government to ensure all commitments are kept. Victorian premier Daniel Andrews made the announcement on Sunday, during the Midsumma Pride Rally in Melbourne, making Victoria the first state in Australia to ban the practice. He described conversion therapy – the practice of trying to change a person’s sexual orientation or gender identity using psychological or spiritual interventions – as “bigoted quackery”. “It’s not LGBTI people who need to change. It’s our laws. That’s why, in an Australian first, we will introduce new legislation to ensure so-called ‘conversion therapy’ is against the law – once and for all,” Andrews said. 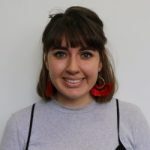 Anna Brown, CEO of Equality Australia, told Pro Bono News the announcement was a welcome acknowledgement of the hurt and damage conversion therapy caused LGBTQI+ people. “The commitment to legislate, but also to support survivors through tailored packages of mental health and counselling support is incredibly welcome and hopefully a first step in addressing the harm caused by these practices across Victoria,” Brown said. She said organisations like Equality Australia would closely work with the government to ensure the commitments made on Sunday were in line with suggested recommendations and research carried out by the sector. “We’ll be making sure the laws that are drafted get best practice and reflect some of the recommendations of the Preventing Harm, Promoting Justice Report, such as whether certain conduct should be criminalised and survivors being given proper redress for the harm that is caused,” she said. Dr Tim Jones, a co-author of the Preventing Harm Promoting Justice Report, said while stronger laws to support survivors were welcome steps by the government, education and research into the harm of cultural ideas and messaging from within faith communities were also needed. “We recommend a multi-faceted approach, implemented in partnership with health professionals, religious institutions and communities,” Jones said. Survivors of conversion therapy, community and faith-based organisations, and the LGBTQI+ task force will be heavily consulted during the legislation development, which is set to start immediately. Victorian equality minister, Martin Foley said it would be at least a year before legislation was introduced to parliament, as they wanted to get all the details right. The ban follows an extensive inquiry by the Health Complaints Commissioner (HCC) into conversion practices, which found those who experienced the practice, faced long-term psychological harm and distress. The HCC found contemporary forms of conversion therapy could include exorcisms, counselling, psychology, support groups, and prayer-based approaches. Providers of conversion therapy could also include unregulated health service providers. Brown said having such a strong ally in Andrews meant the discrimination the community faced, and the issues the sector were fighting to end, were given continued visibility. “There is a community that really do need support. It’s this visibility and recognition that means they can be comfortable being out, and comfortable to fight for their rights,” she said. Brown encouraged the rest of the community sector to keep pushing other states and territories to follow Victoria’s lead, through making an effort to be inclusive. “It’s up to every organisation to ask itself what it could be doing to be more inclusive of LGBTQI+ people in their own workplaces, and the customers of people they deal with everyday,” she said.